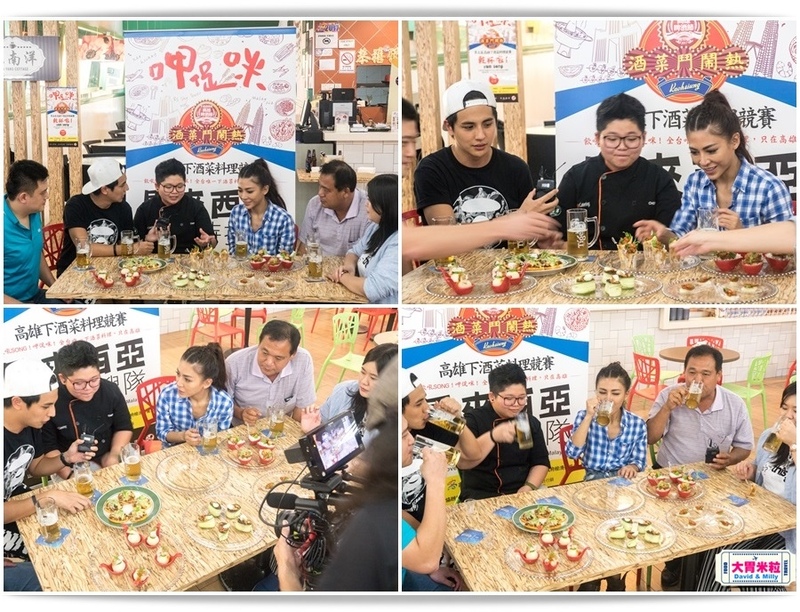 2017 The 5th Finger Food Cooking Contest of Kaohsiung Beer Paradise ! 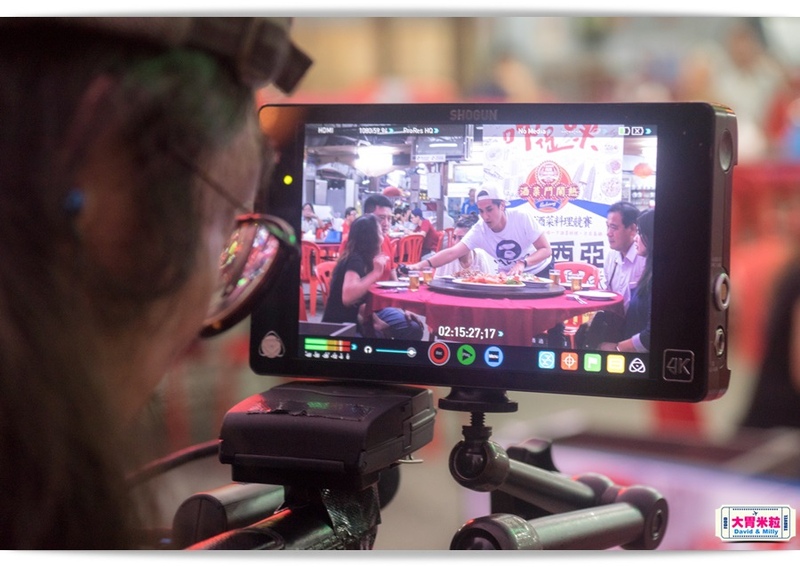 Adrian Tseng (曾子余), the host of famous travel TV show and Eve Ai (艾怡良) the Best Female Vocalist of 2017 Golden Melody Award present the six popular restaurants in Malaysia. 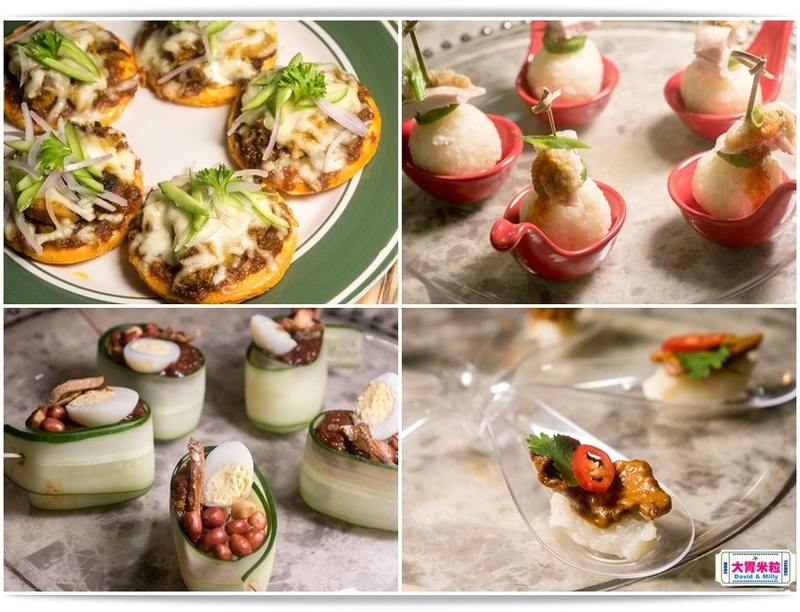 2017 The 5th Finger Food Cooking Contest of Kaohsiung Beer Paradise ! 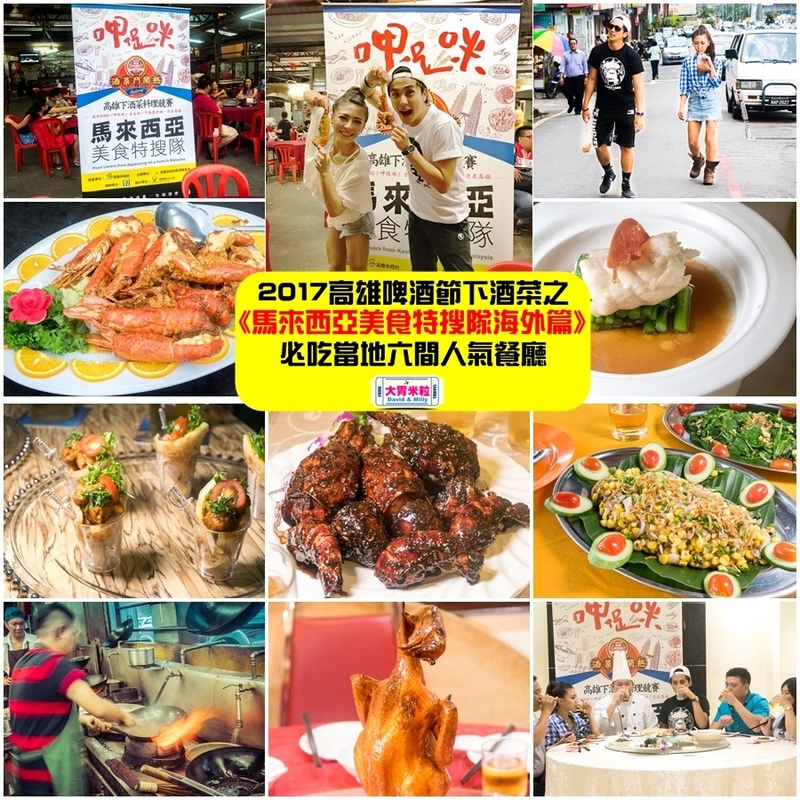 the Best Female Vocalist of 2017 Golden Melody Award present the six popular restaurants in Malaysia. 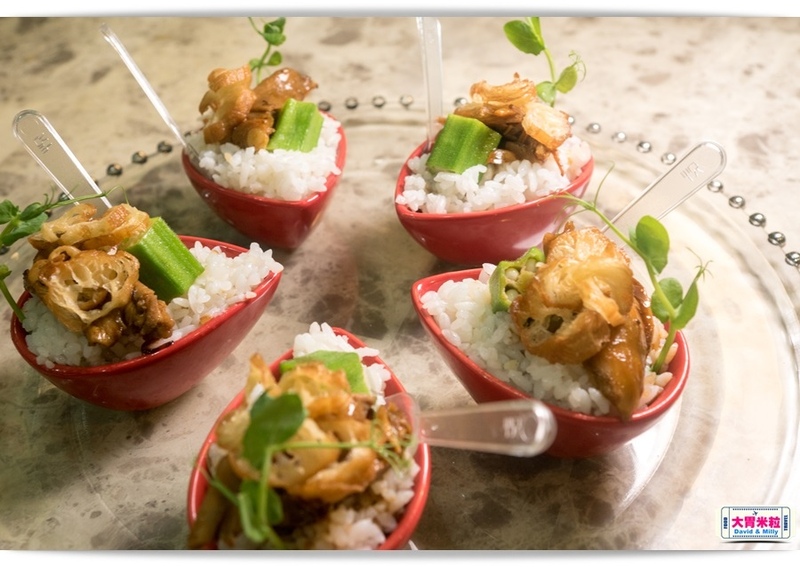 for Finger Food Cooking Contest of Kaohsiung Beer Paradise. the host of famous travel TV show as well as Yao Yao, the main actress in famous drama, “The Teenage Psychic”. but also that Malaysia’s weather and terrain are similar with Taiwan. the Best Female Vocalist of 2017 Golden Melody Award. 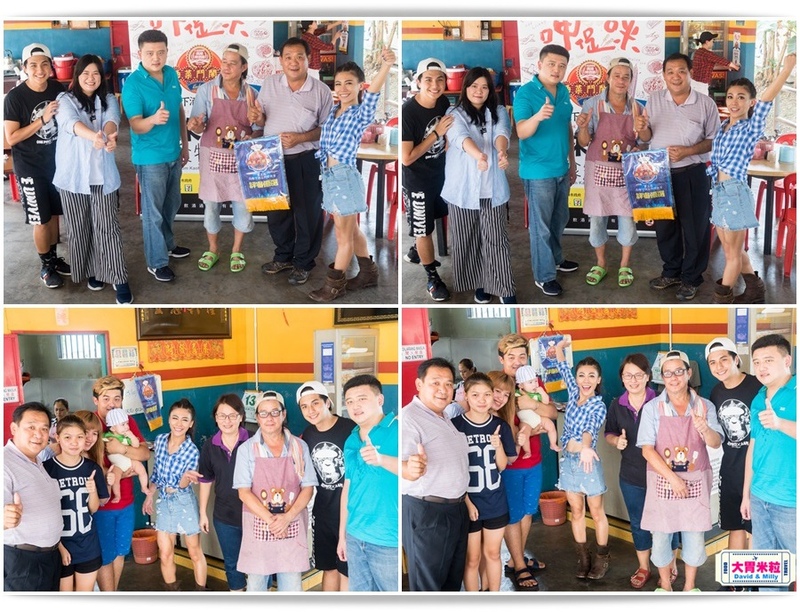 promoter of the movie” Zone Pro Site” and Kaohsiung tasty-food pro 李奇霖. 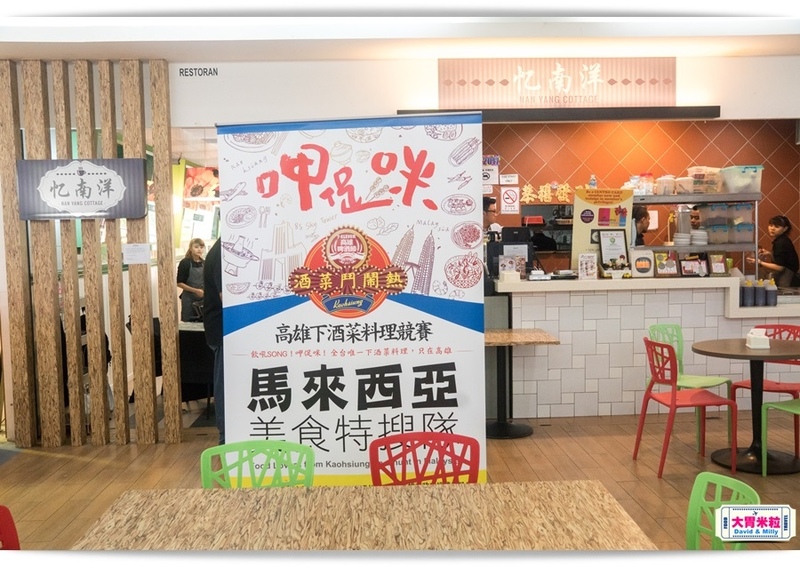 We are going to visit 6 popular restaurants in Malaysia and one of them will be chosen to 2017 Kaohsiung Beer Paradise. 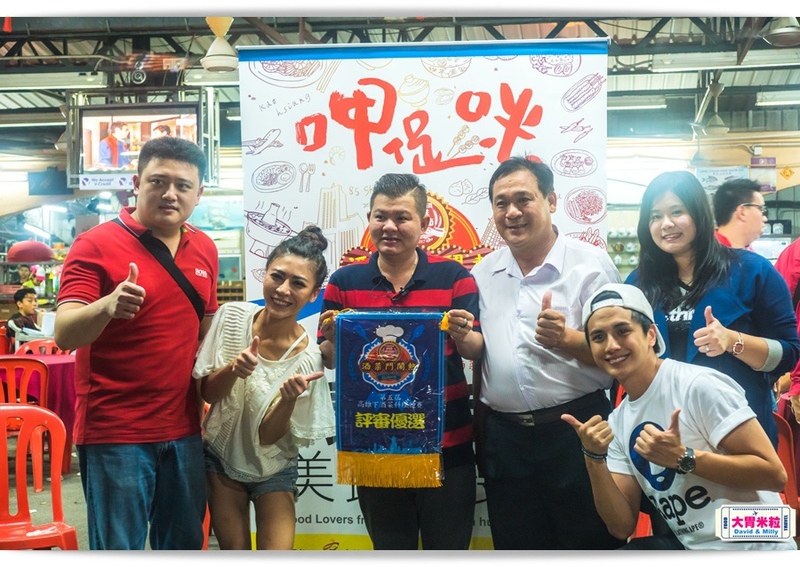 People who come to Beer Paradise will taste the most delicious finger foods from Kaohsiung and Malaysia. Now, having some rest, we are going to the first restaurant. by its Chinese cuisine and sea food. 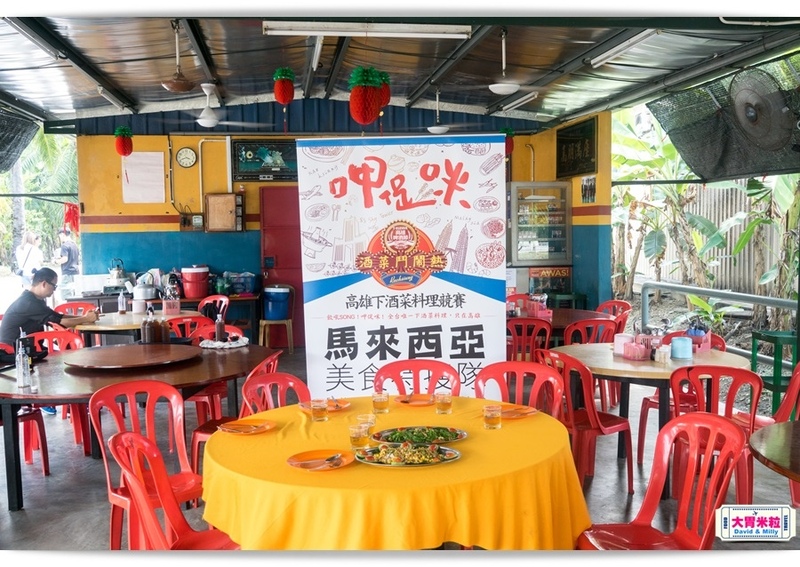 The restaurant locates at Selangor Sungai Buloh. 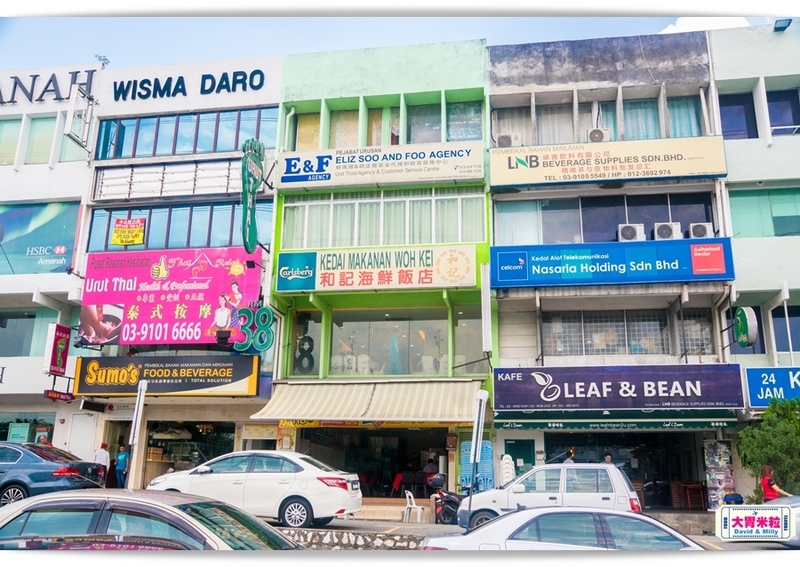 Many diners are coming for the boss’s good cook and fresh ingredients although the restaurant is a little far from downtown Kuala Lumpur. 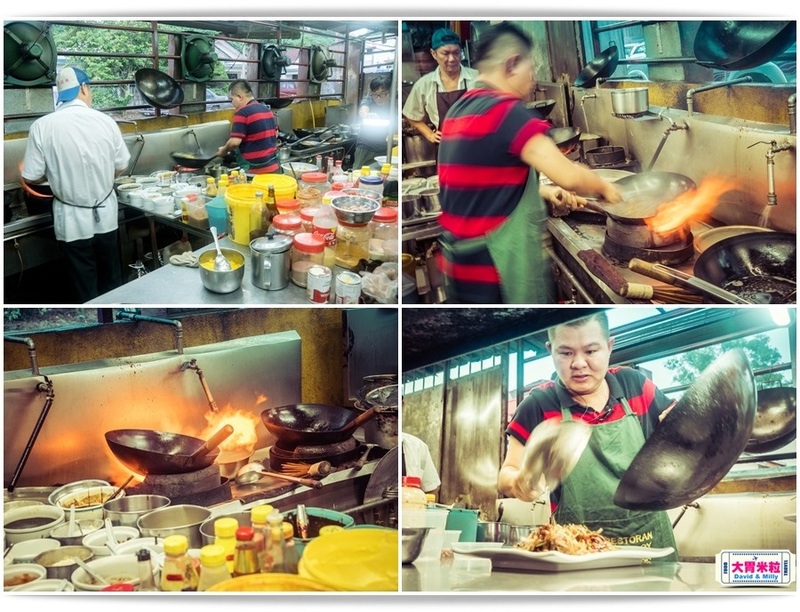 Moreover, Man-To Leung (梁文韜), the God of cookery has been there for its tasty food. The recording scene is ready and the hosts as well as reviewers are waiting for the dishes! the shooting crew is catching his sweating heroic post while he is frying with big fire! 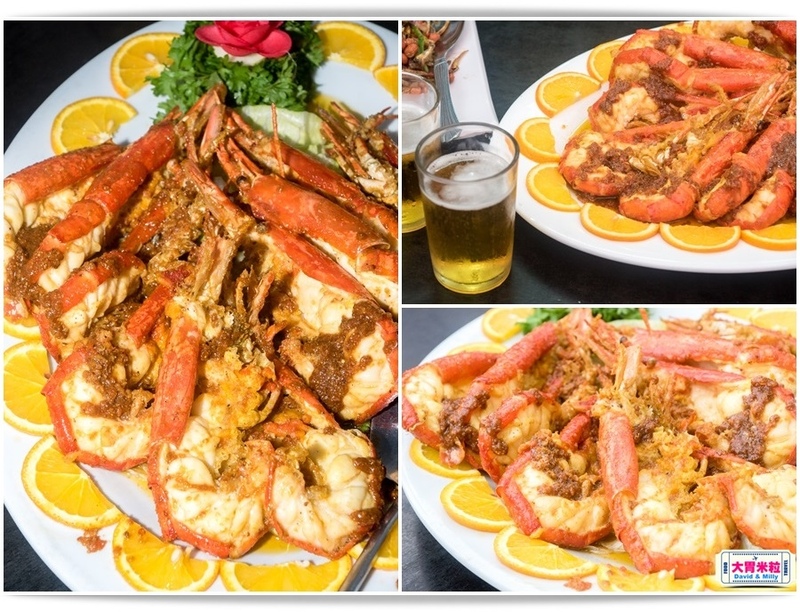 The first dish is “Smiley Shrimp”( Jiangnan style shimp) which impress every reviewer right way! 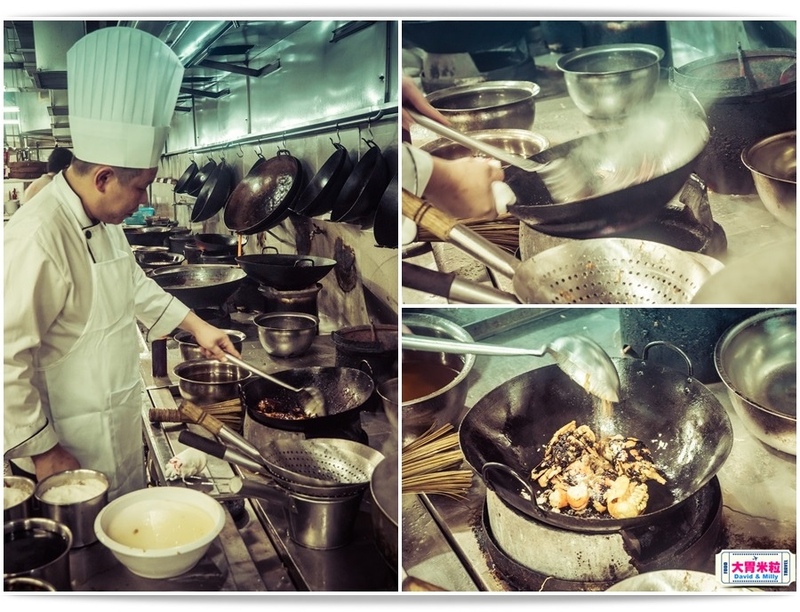 The boss uses butter and sugar to fry the Thailand shrimps until orange oiled bright. Then flavor with Angelica powder. which present combined East-West style. Especially the rich and juicy shrimps are very chewy. Every reviewer can’t hold their smile for this smell. No wonder the cuisine called “Smiley Shrimp”. 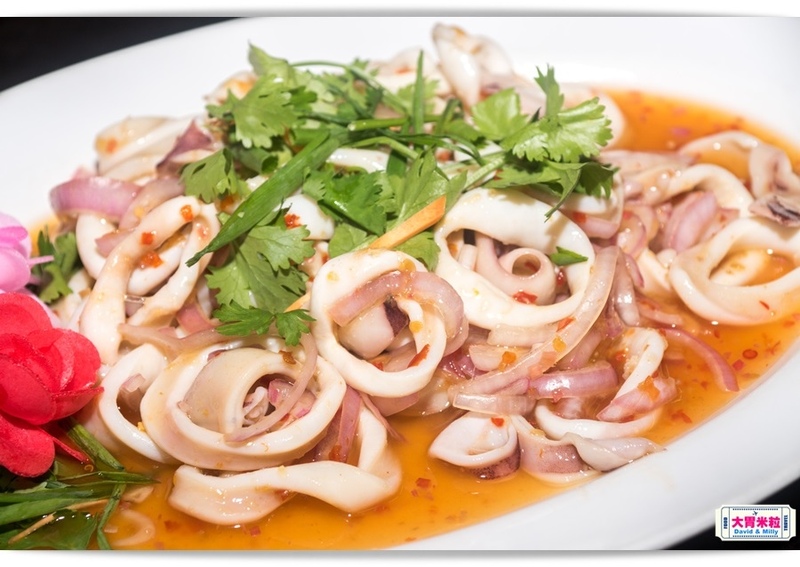 Followings are “Thailand Squid” and “Fishy Peanut” which are the best finger foods for drinking. 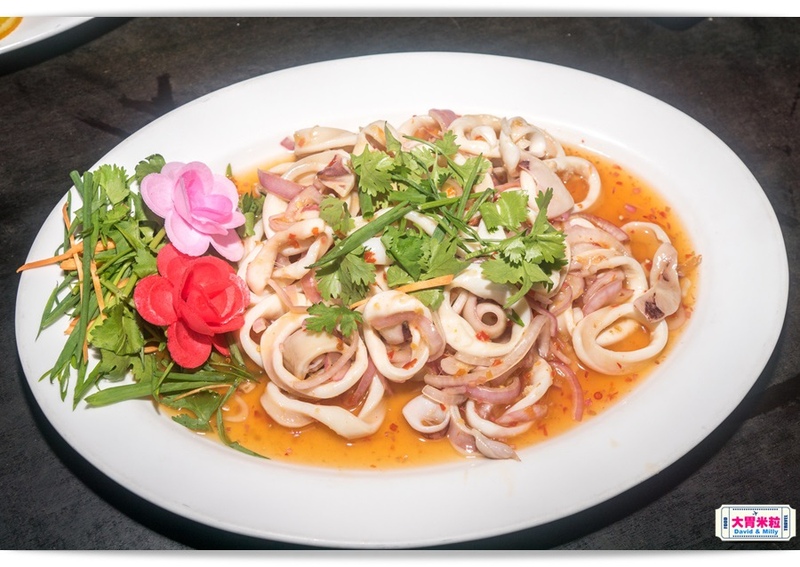 The crisp squids with sour-sweet Thailand sauce are tasted refreshing. when you eat peanuts and small dry fish, there is more vegetable sweet to present multilevel taste. Everyone has a very satisfied meal. So simple like homemade but taste so amazing. the God of cookery must come to eat whenever he comes to Malaysia. the tasty-food prince and the Eve Ai (艾怡良)the Best Female Vocalist of 2017 Golden Melody Award also enjoy the meal. Both of them look so professional and so natural. I really admire the young captain Adrian when he leads whole scene smoothly. Three dishes are so great with drinking. 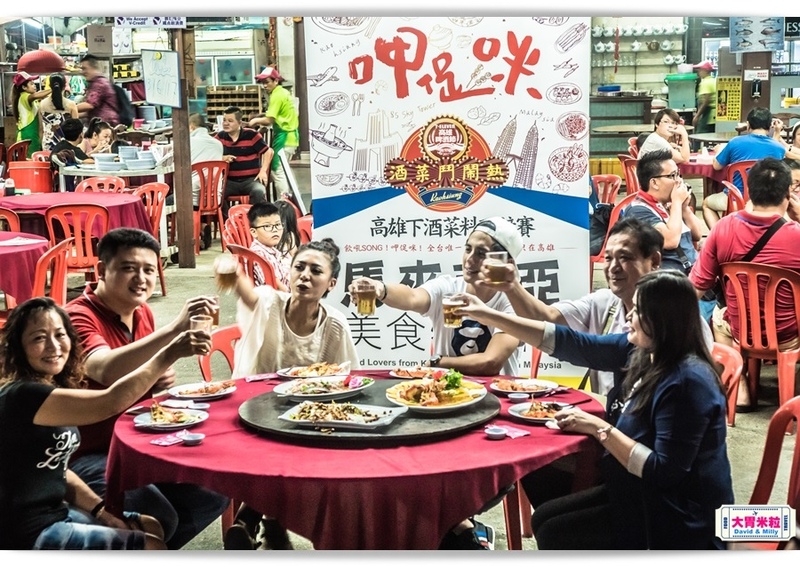 Everyone has a toast with the boss’s wife and call out the slogan of 2017 Kaohsiung Beer Paradise. Can’t image we are already so satisfied at this very first stop. The Malaysia foods full of amazing and wonderful surprises. I do recommend travelers when you come to Malaysia, you really have to taste this “Smiley Shrimp”. 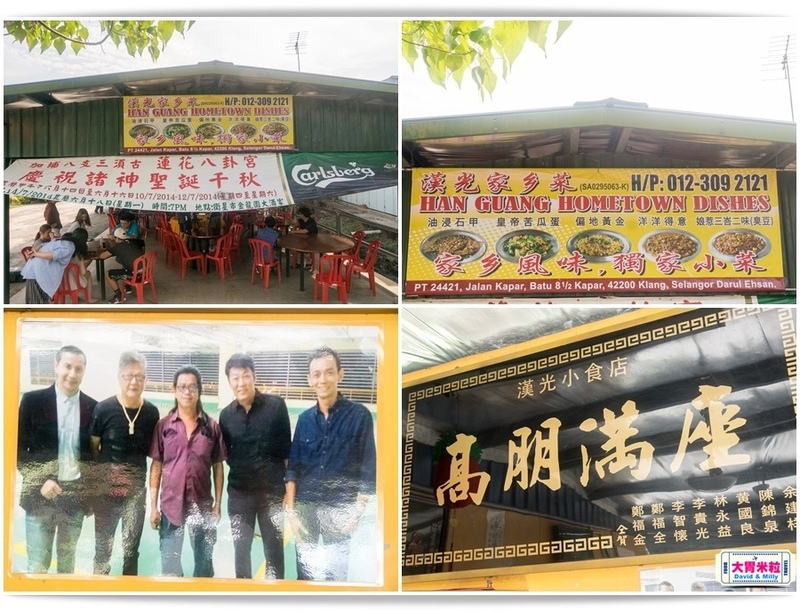 The second restaurant also locates at SUNGAI BULOH near Kuala Lumpur. 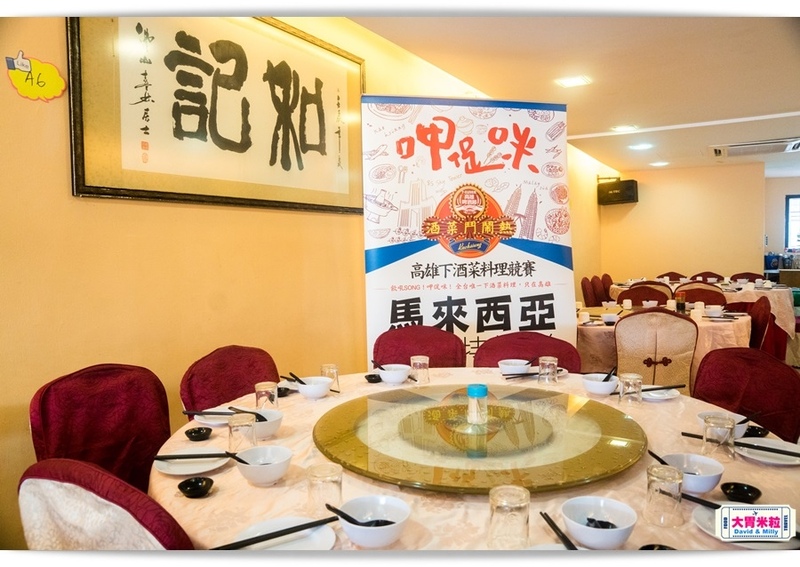 We look up some information and know the tasty food cluster here because so many Chinese people gather here. Some proverb says “Not afraid of starving as long as living with Chinese. ” We heard there are so many chiefs hiding here and the boss of JEFF LEE KITCHEN has learned since he was 10. In his young age, he already has 20-years cooking experiences. The restaurant is so popular that the boss needs to have two stores to satisfy diners. Look at these two stores, full of diners in meal time. There are different spring festival couplets to present Chinese style. Diners need to have some knowledge when coming to this restaurant because there is no menu here. The boss writes “Today Special” every day. 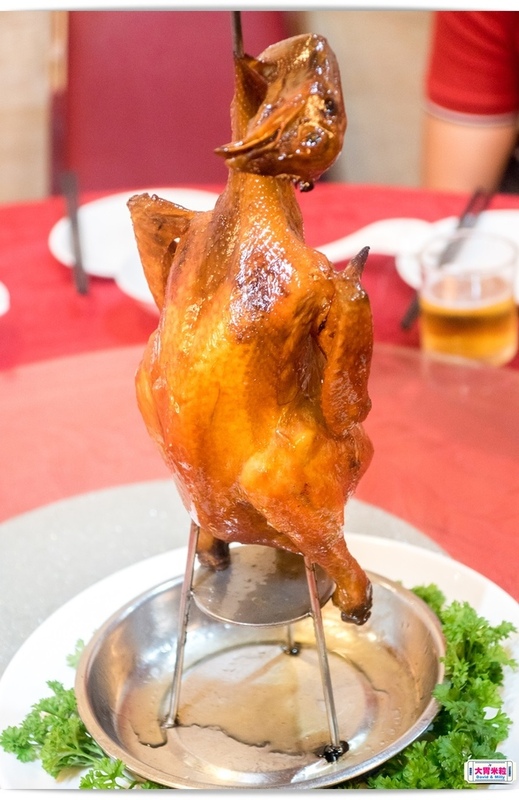 You need to pre-order the dish “Lute Fried Duck” or you will be crying for it. If you want to eat any cuisine in particular price, the boss will make your wish come true. While waiting, the servant serves hot tea and cups. Seeing the tea cups in the small washbasin makes me think of eating Dim Sum in Macao. 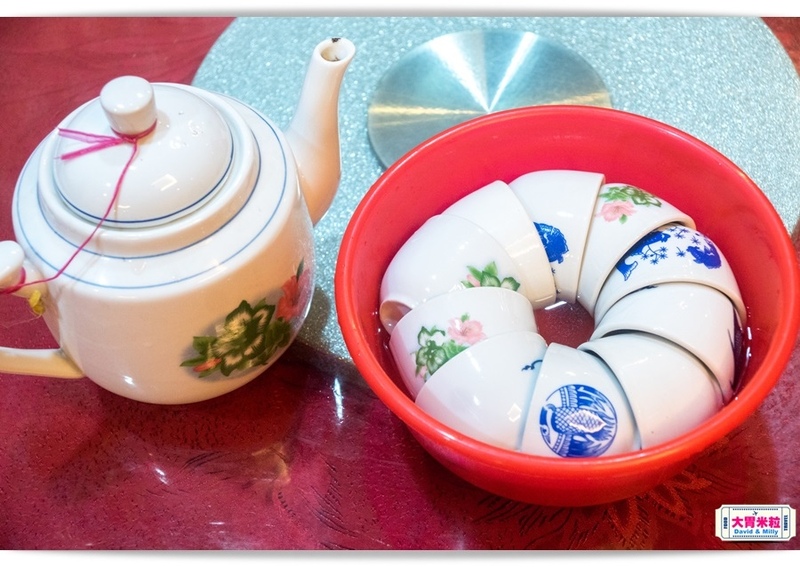 They also put tea cups in a washbasin and use hot water to heat tea cups before they pour hot tea. 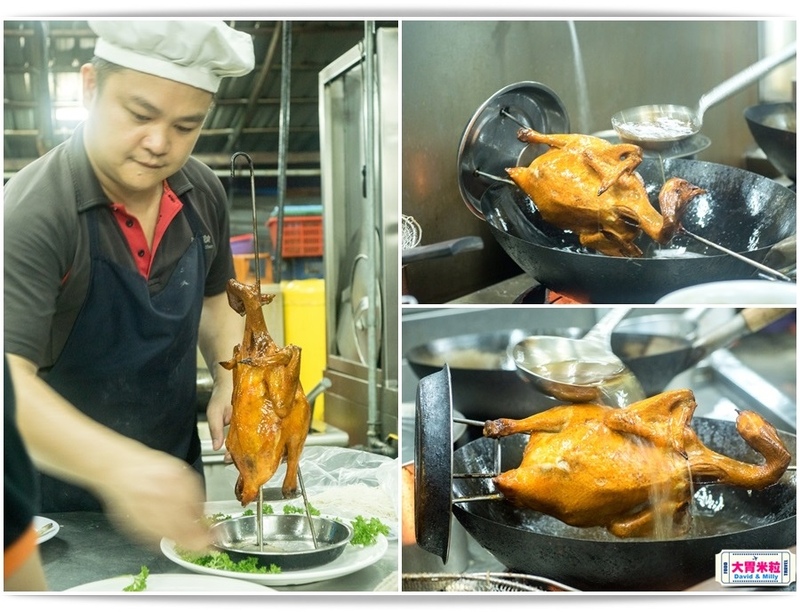 We were going to taste “Lute Fried Duck” on that day, but it was too popular to eat. we can’t catch it until the translator said “Don’t do” means “Stand-up” in Cantonese. Simply said, “Don’t Do Chicken” is “Stand-up Chicken”. However, this chicken is not simple. First, flavor with exclusive spices until the chicken full of it. Then, pour hot oil to present crispy chicken. 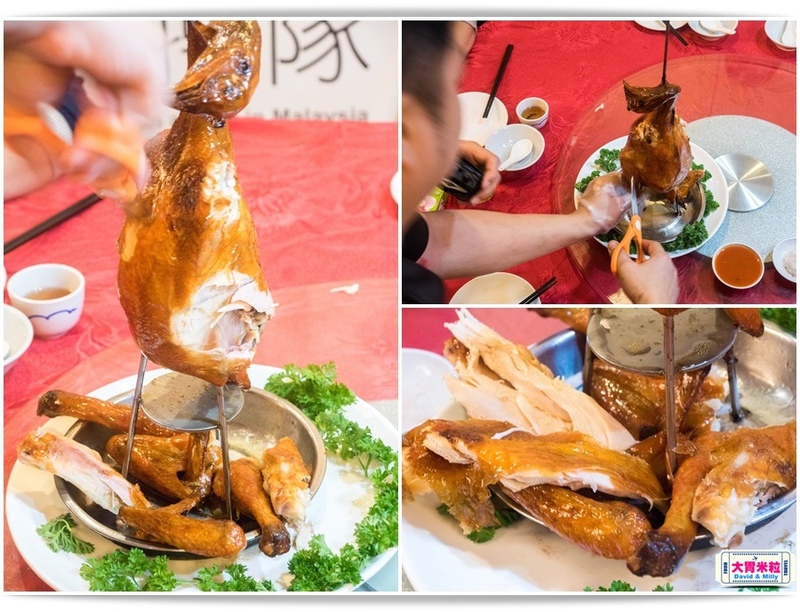 Finally, string together with special stand to make the chicken stand up. The cuisine gets everyone’s attention as soon as it’s on the table. Before start to eat, the boss cut every parts of chicken very quickly. No matter chicken leg or chicken breast, the meat tastes juicy and the skin tastes crispy. 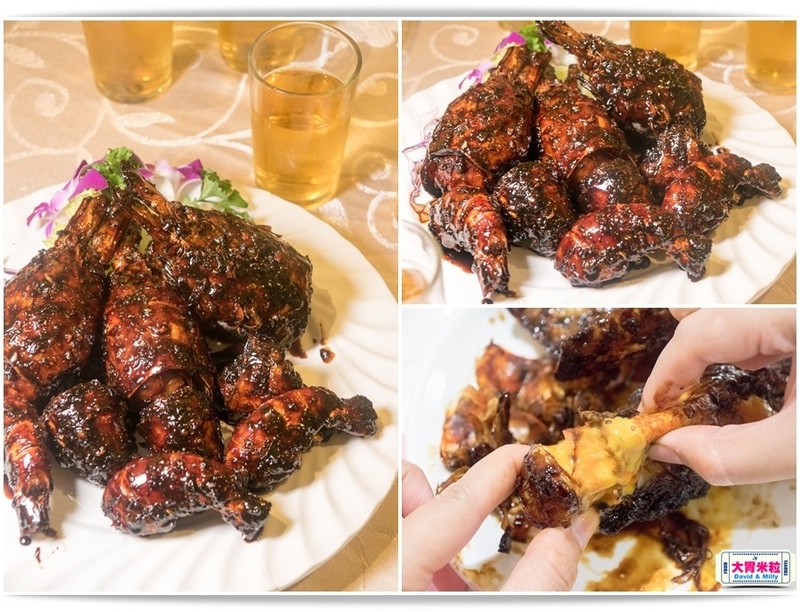 If you eat with “Southeast Chicken Spicy Sauce” made by spice, garlic and ginger, it tastes more sour and sweet. Every reviewer is so satisfied that they forget to care about their manner. They just eat chicken with hands. The taste is so salty and spicy and so matching with beers. At first day, two secret restaurants already gave us so much surprise. As expected, real masters are hidden in folk. Let us keep going to searching for more masters. Next day, switch to Work mode at early morning. 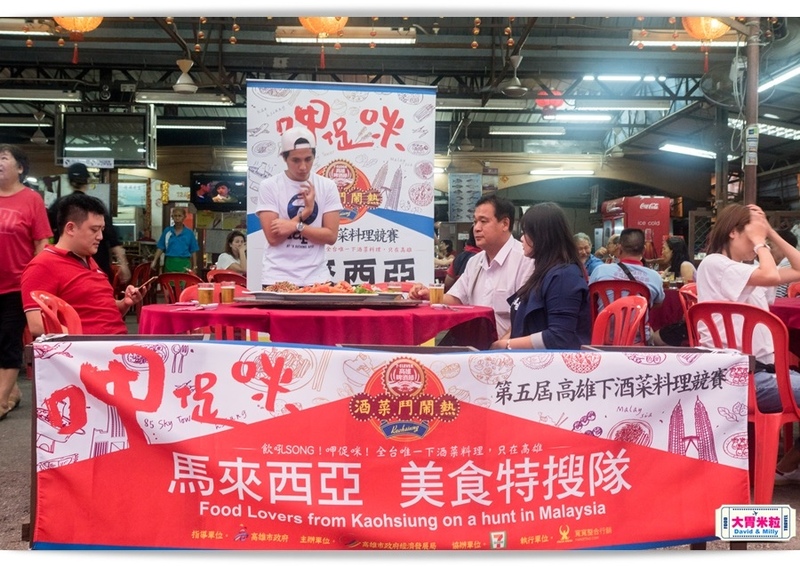 These two taste-food representatives are searching for street finger food in Malaysia. Which restaurant will be the next one! Finally, Adrian Tseng (曾子余), the tasty-food prince and Eve Ai, the tasty-food representative lead us to the third restaurant. Jalan perkhimatan area which is residential area and cars and stores are everywhere. 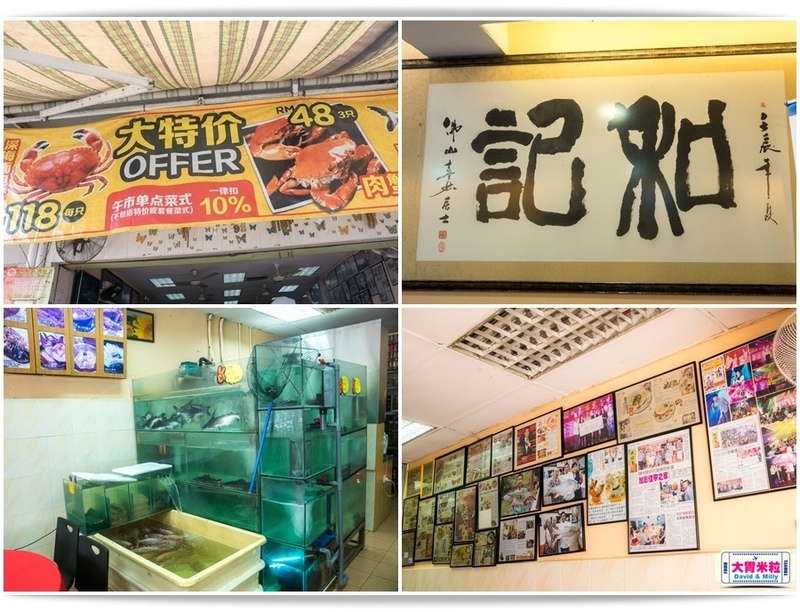 There is another famous seafood restaurant in Hong Kong whose Chinese title is similar with “Jalan Perkhimatan Seafood Restaurant”. 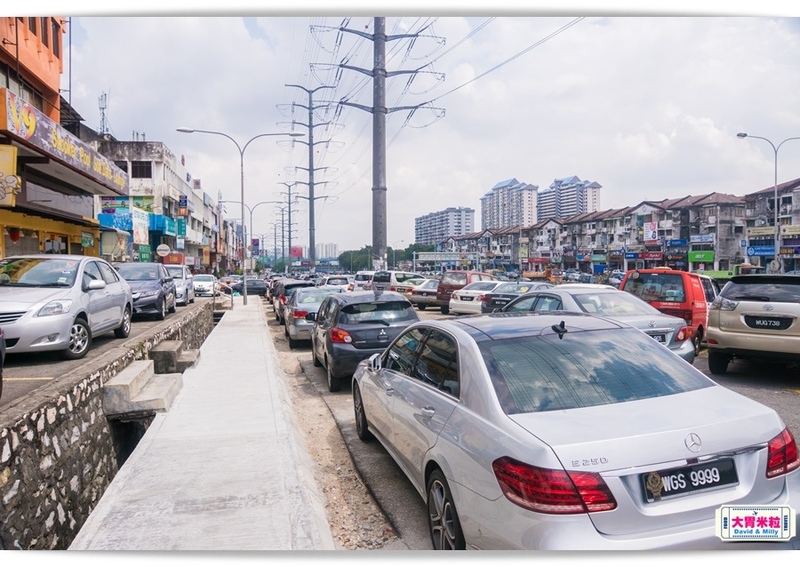 For easy searching, you can add Jalan Perkhimatan. 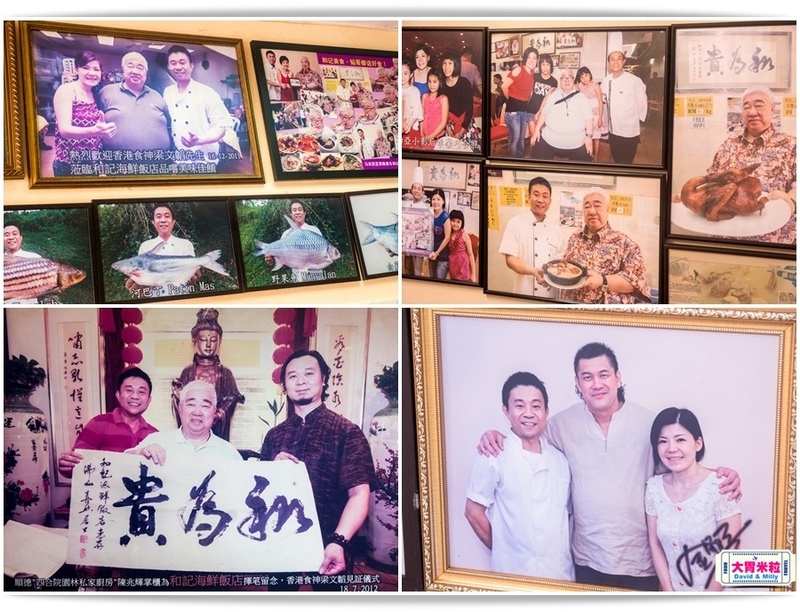 This restaurant has been opened for more than 10 years and the boss has been in this business for more than 20 years. 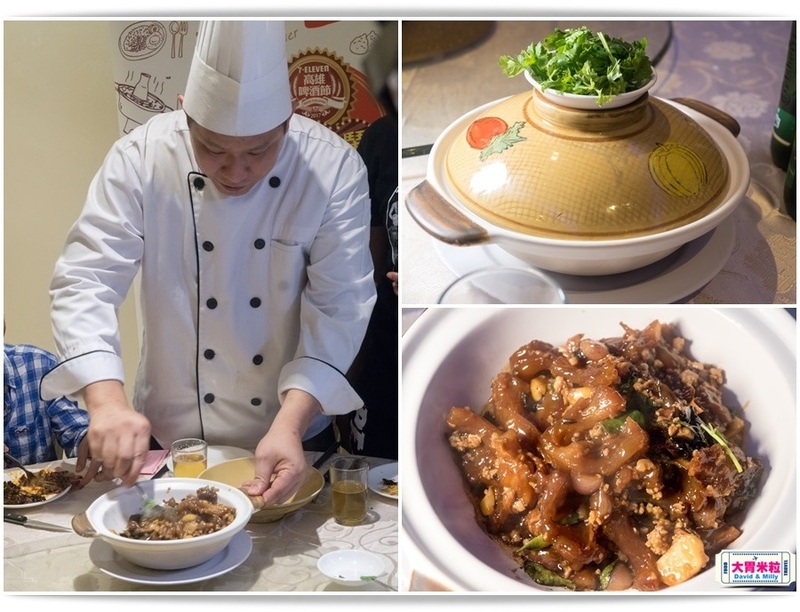 He has been trying to create new style traditional Guangdong cuisine. 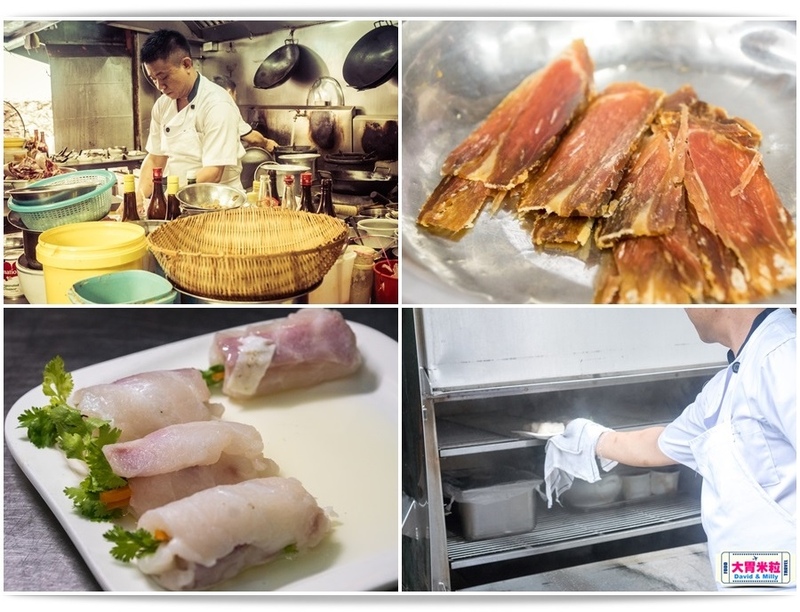 You will know how professional the boss is while you see how fresh the seafood in that restaurant. From the first floor to second floor, there are so many pictures with celebrities. 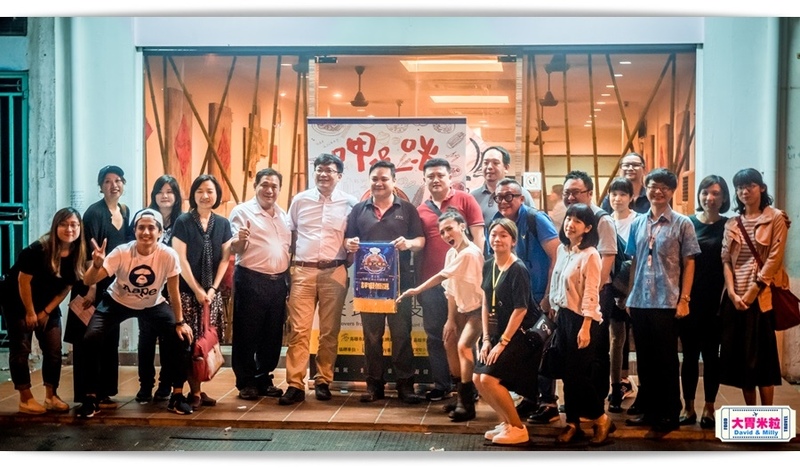 In these years, “Jalan Perkhimatan Seafood Restaurant” has been showing in many contests locally and internationally and often gets prizes. won the best cook prize, the international five-star cook prize and the best creation prize over hundreds contestants. His prized cuisine appears on the menu to share with diners. Because of showing in many contests, it gets Man-To Leung (梁文韜), the God of cookery’s attention. 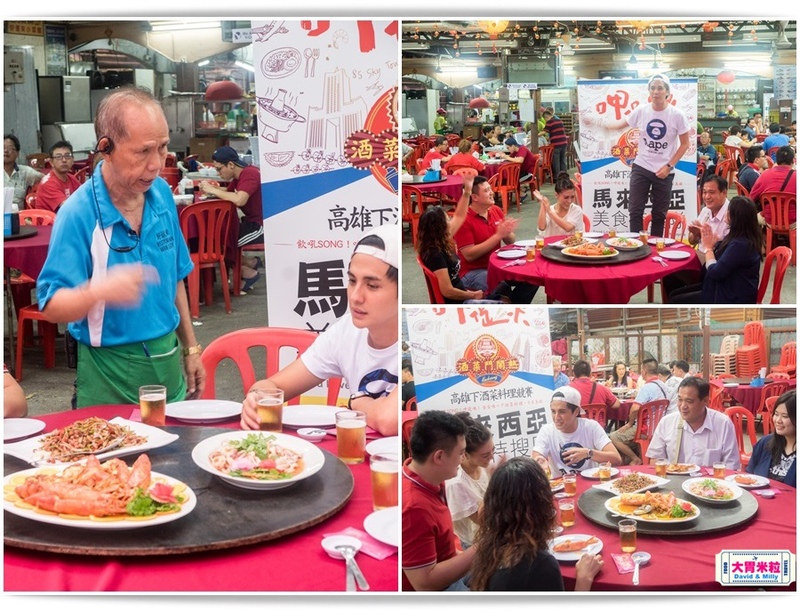 Every time, when he comes to Malaysia, he always goes to “Jalan Perkhimatan Seafood Restaurant”. The cuisine for this contest is “Emerald Ham and Squid Roll”. 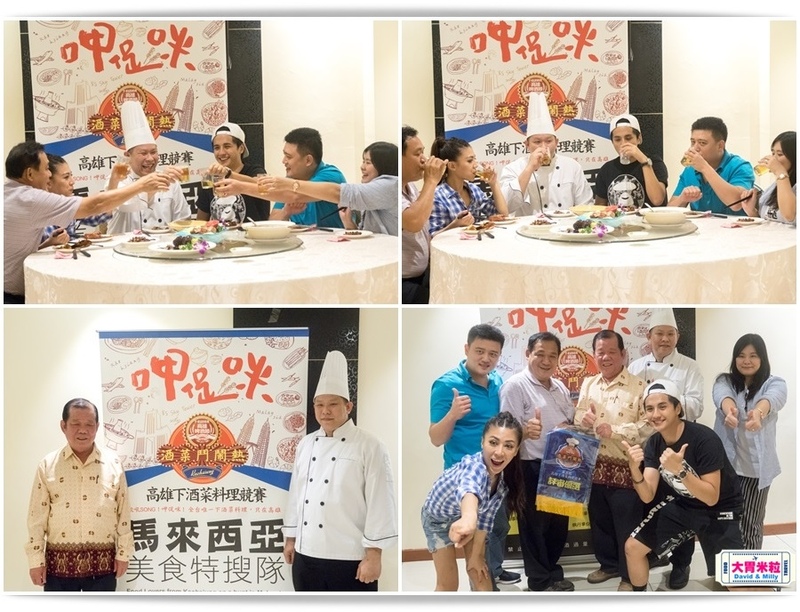 The chief selects 16 Kg special fish cooked with ham and squid paste, flavor with sauce and parsley. On the table, the chief use candle light to heat that looks like Western cuisine. Put the leek on the plate and decorate with Jinhua ham. 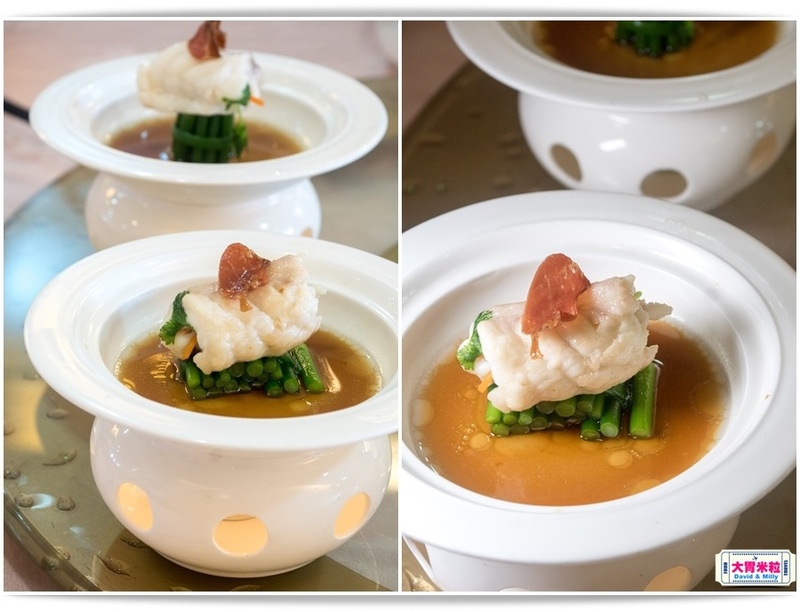 The precious Grouper taste like Taiwanese Grouper, very refreshing. One bite brings full satisfaction. 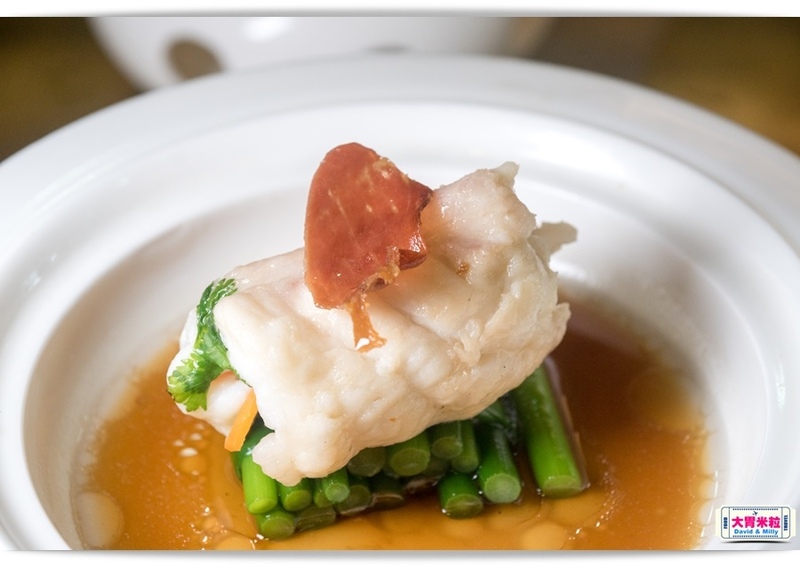 The fish is really fresh and especially the Jinhua ham and vegetables add more flavor. The sauce tastes like Taiwanese Grouper sauce which is good with beers. 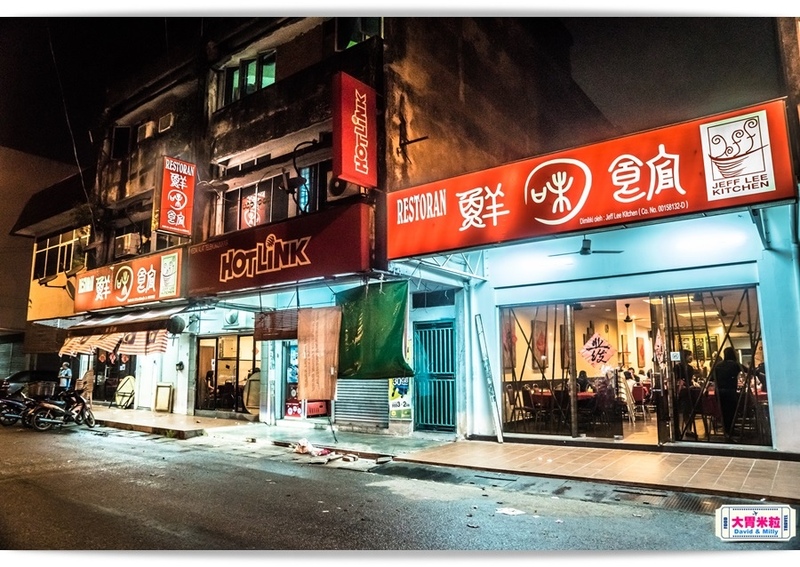 The fourth restaurant is Han Kuang Homemade Restaurant (漢光家鄉菜) located at Jalan Kapar famous by Bak kut teh. it gets praise from the Datuk of Malaysia. The boss presents two popular cuisines which look so brilliant. When recording in the kitchen, everyone is so crazy about it. 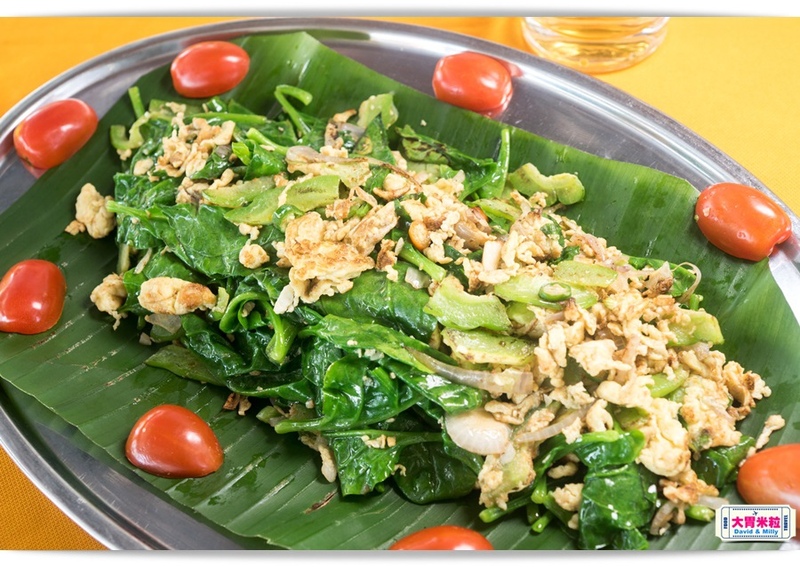 with banana leaves and tomato look so simple and delicious. 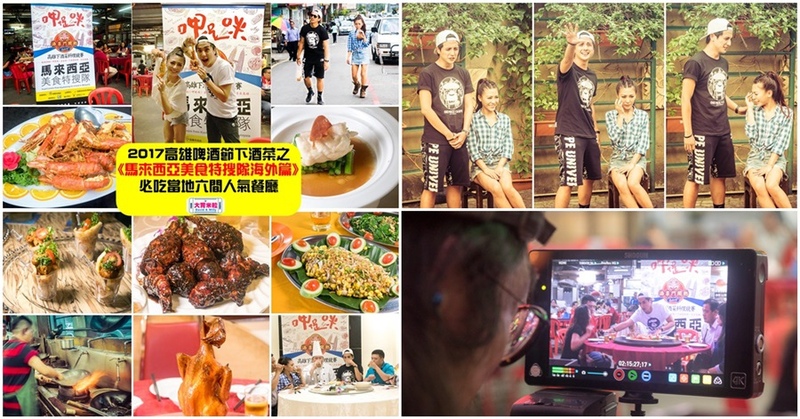 These two cuisines are created by the boss for this Kaohsiung Beer Paradise. 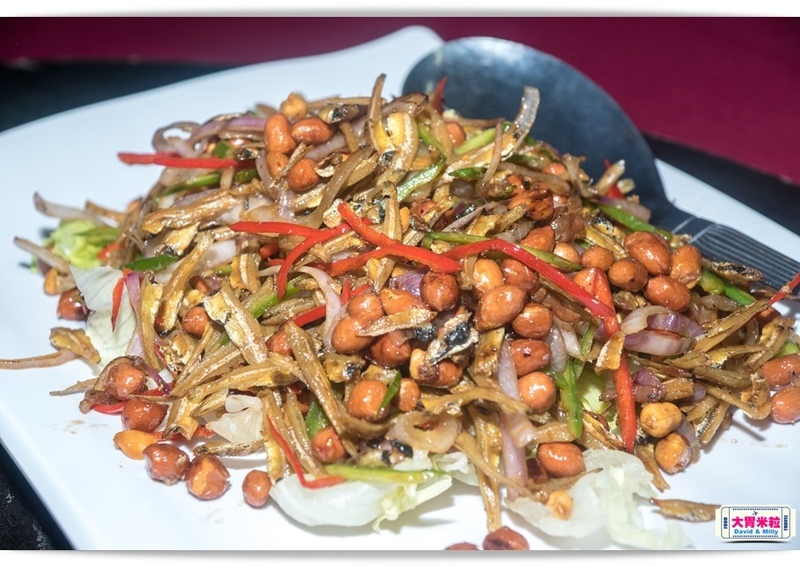 First introducing “Over and Over Golden”, fry golden corns, dry fish and onions to taste crispy and refreshing. Especially, the sea salty flavor comes from dry fish. Furthermore, there is spice hidden in the cuisine. Although it’s spicy, the grainy taste makes you hunger. 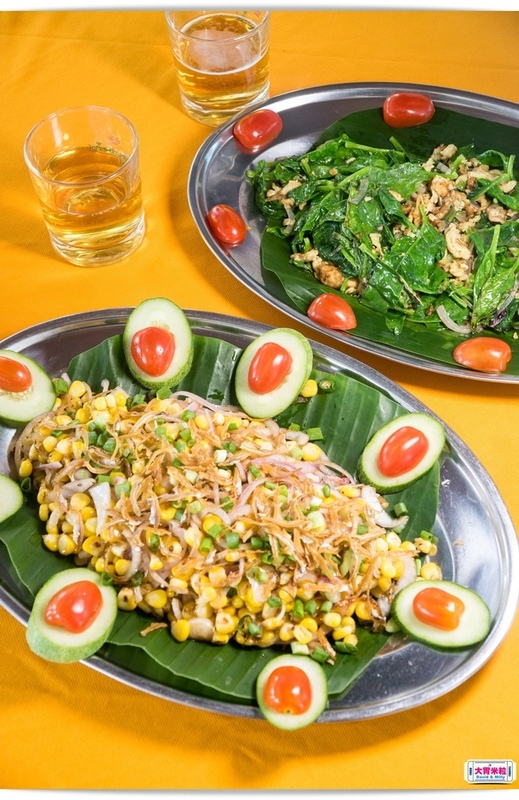 This cuisine takes over reviewers’ toughs who can’t help themselves to drink beers. bitter gourd and eggs makes vegetable softer and bitter gourd sweeter. Furthermore, eggs make this cuisine healthier to diners. During recording, everyone has a happy meal. 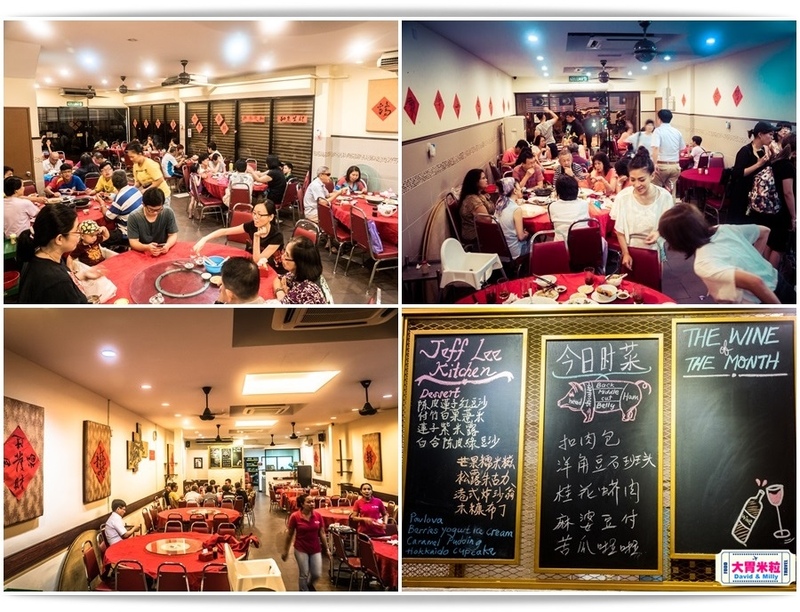 No wonder, the restaurant located in Jalan Kapar famous by “Bak kut teh” is excellent. 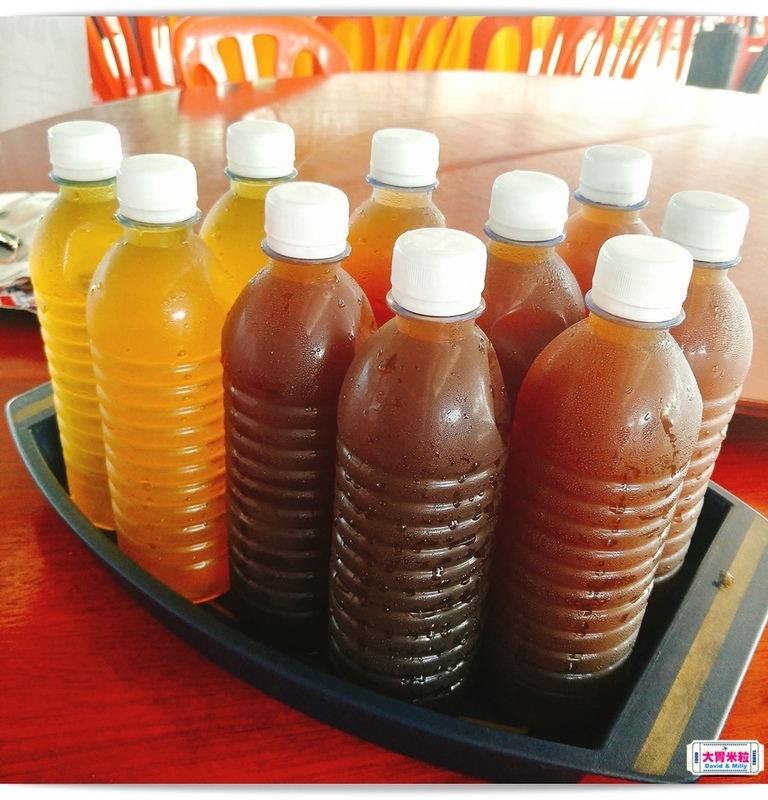 For treating friends from Taiwan, the boss gives everyone free homemade Chrysanthemum tea if you have Taiwan passport. It’s too good to get one. I only get Grass tea. 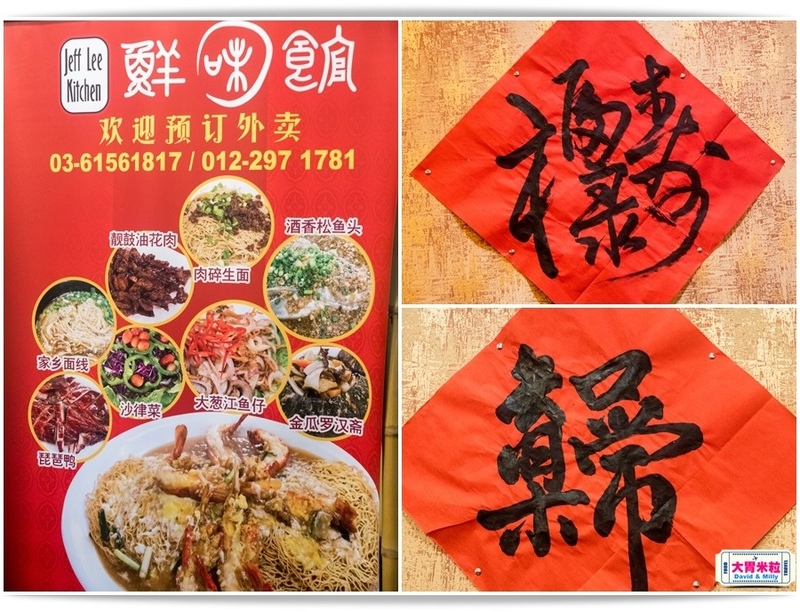 and then go to Han Kuang Homemade Restaurant (漢光家鄉菜) for local finger food. 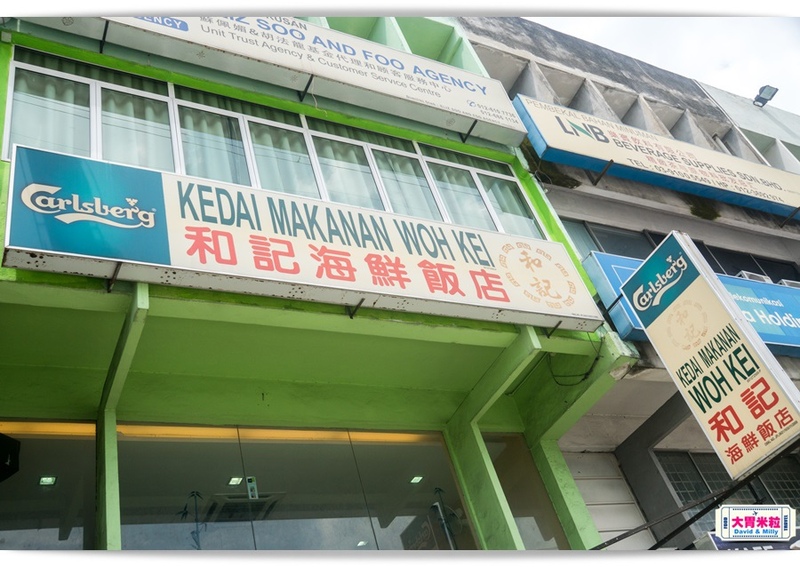 mainly sells Malaysia cuisine, noodles, Coconut milk cuisine, toast, and coffee. 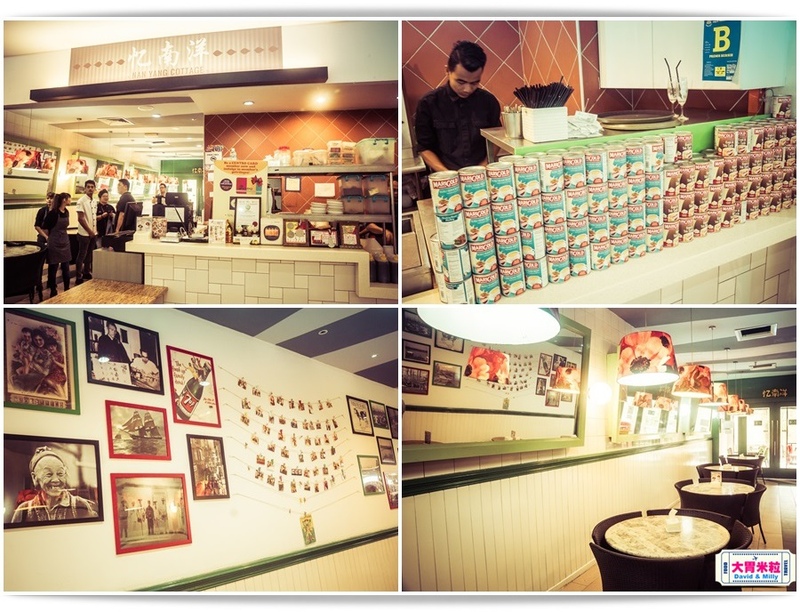 The decoration is more like traditional Southeast Asia style and similar with Toast coffee in Singapore and Oldtown coffee. which says a man is saying goodbye to his girl-friend for going to Southeast for war. I truly think Eve is very open and she is good not only at singing but also at acting. She may get the best actress in Golden Horse Award. The chief is making the cuisine for this contest. Look at the fire. Really amazing! 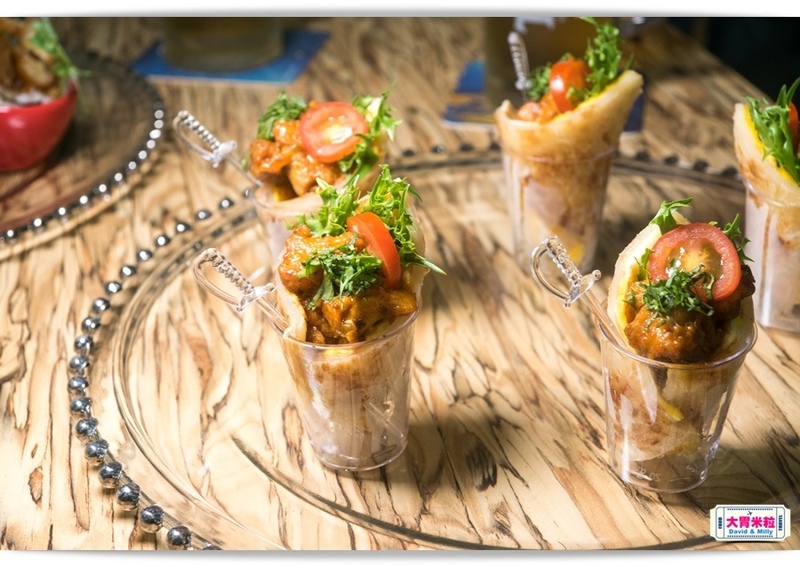 The cuisine “ Chicken Tikka Masala” for this contest seems the most traditional India cuisine. Tikka means grilled and biscuit is the main course in India. Combine with two traditional ingredients and add Cheese and Cucumber to become fantastic Pizza. One bite, you will taste the rich smell from Chicken Tikka Masala sauce and the crispy biscuit. So delicious! Furthermore, the boss prepares other creative dishe for us. 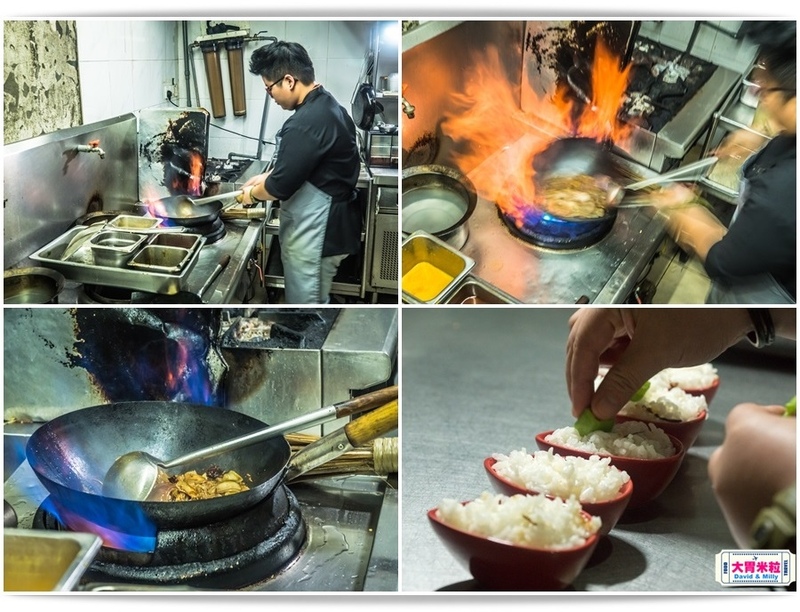 The “Local dry chicken with bak kut teh rice” is very creative. 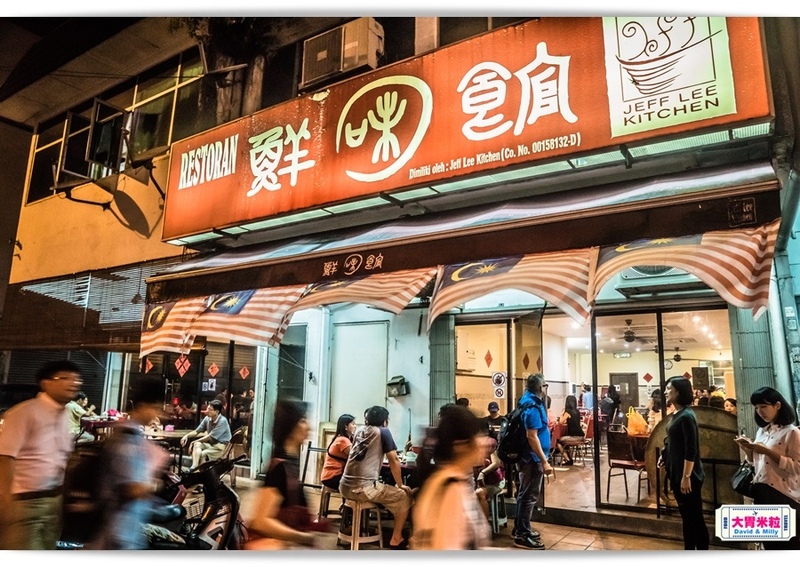 The chief changes the Malaysia bak kut teh to dry style and there is no pork in that restaurant. Rich and fritter flavor with bak kut teh taste so different. 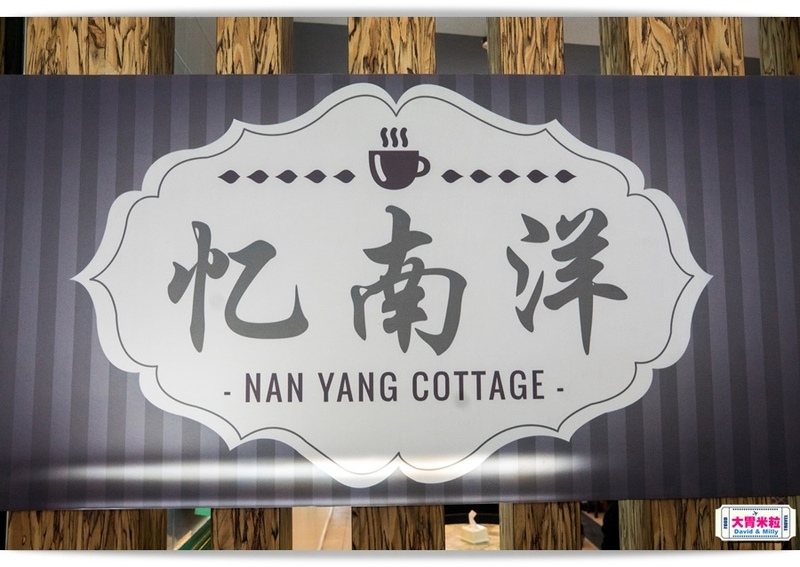 Nan Yang Cottage makes every cuisine in one-bite dishes to make it easy to eat. This Malaysia traditional food is a good choice to share with good friends. 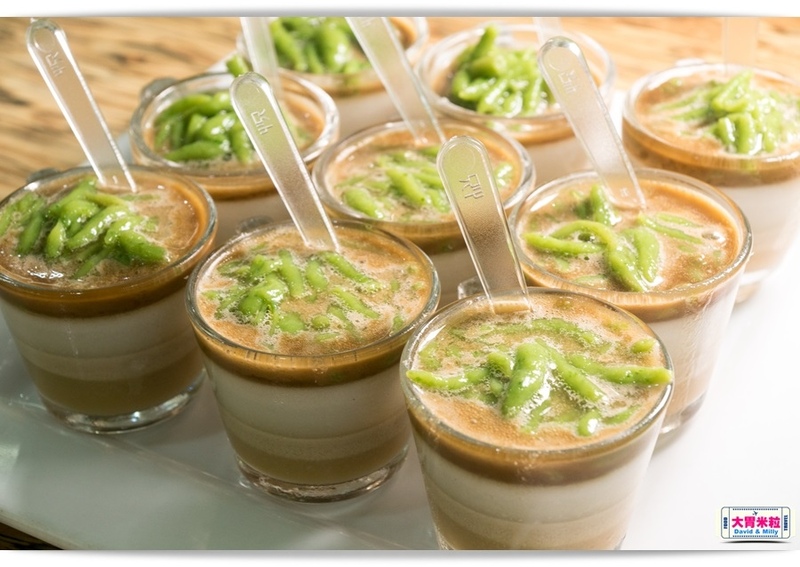 This green sweet called “Penang Pudding” is on your must-eat list when you come to Singapore and Malaysia. The green noddle is made by Pandan Leaf. Eating with coconut milk or sugar may be too sweet. In Malaysia, it is usually made as ice sweet to get cooler. During recording, Eve really has a big belly and she almost eats everything. However, it’s so hatred that she can still keep this good shape. Afterwards the boss promises to buy Eve’s records. Looks like Malaysia friends so much love Eve. The handsome Adrian is busy too. After recording, many female servants want to have pictures with him. What a hot idol! 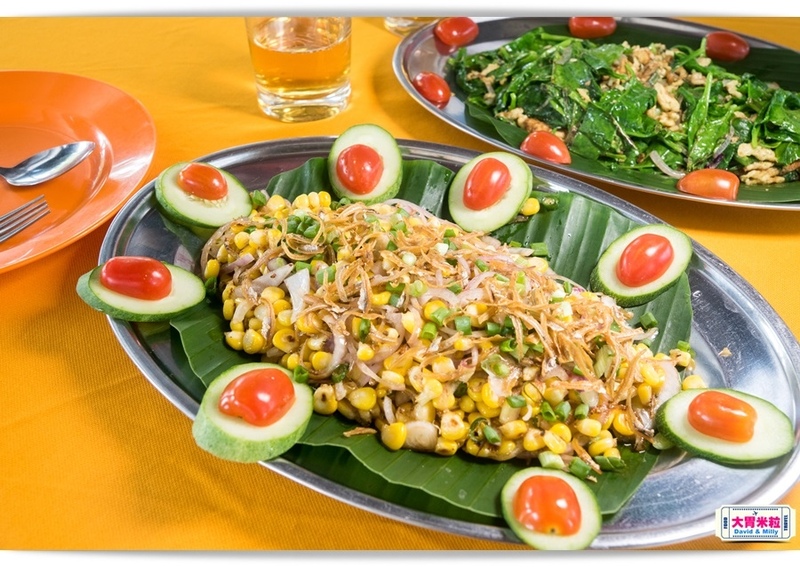 When you come to Jalan Batu Tiga Lama, just come to Nan Yang Cottage to try something fresh. The final stop is Hee Lai Ton Restaurant @Shaw Parade which is next to our hotel. 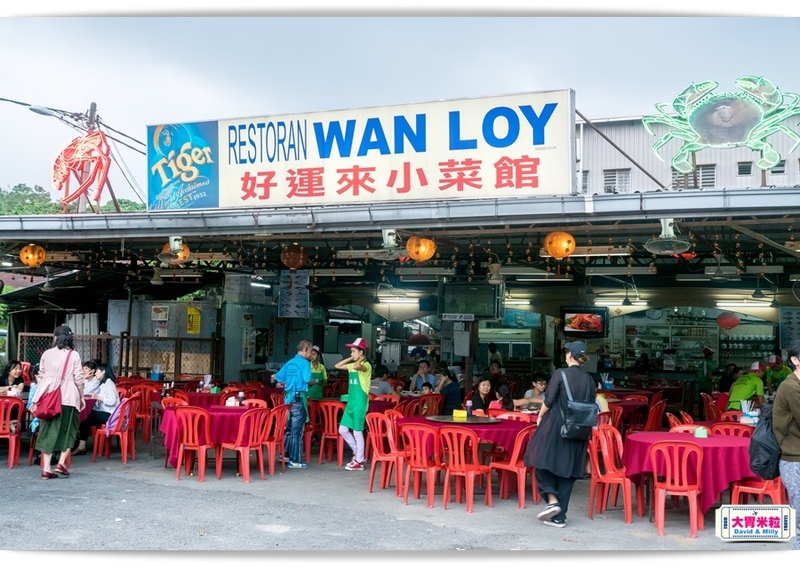 Everyone in Kuala Lumpur knows this restaurant. Every Chinese has party here. 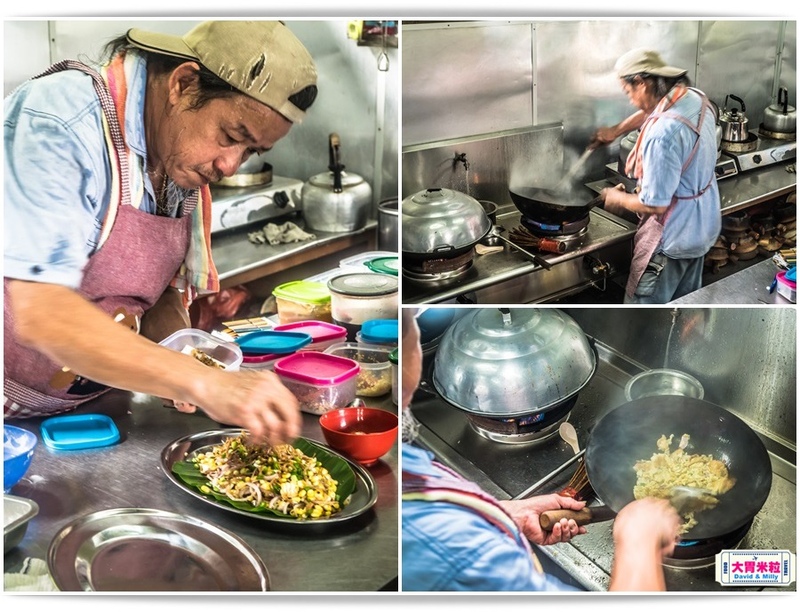 Their Chinese cuisine and snack are very famous because the chief keeps making new dishes for new guests as well as old diners. The chief selects Thailand shrimp flavor with exclusive sauce and cooks slowly. The shrimp covered with sauce looks so delicious and we can’t wait to eat it without peeling the shell. The shrimp paste is so rich and smells fantastic. The whole shrimp looks like a big thumb and very chewy. Another cuisine “Dry Fried Pork” is to fry pork feet flavor with parsley. It’s so soft to melt in month and good for older people and children. 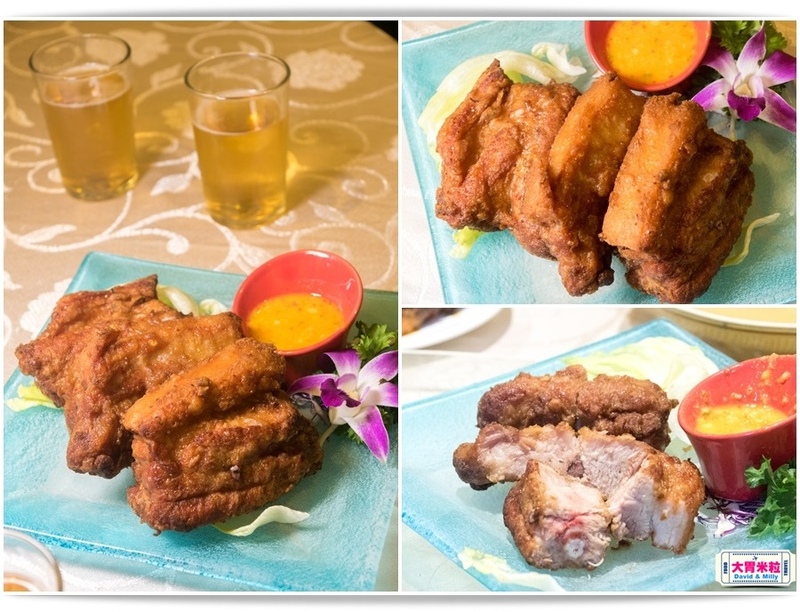 The “Shrimp Sauce Fried Rib” is to fry ribs in hot oil and marinated with shrimp sauce. It’s juicy and soft and tastes like Matsuzawa pork. It’s better to eat with orange sauce to make it sour-sweet and spicy. Everyone just uses hand to grab. The rich salty smell makes everyone unforgettable. Prince Adrian looks so enjoy and forgets where he is. 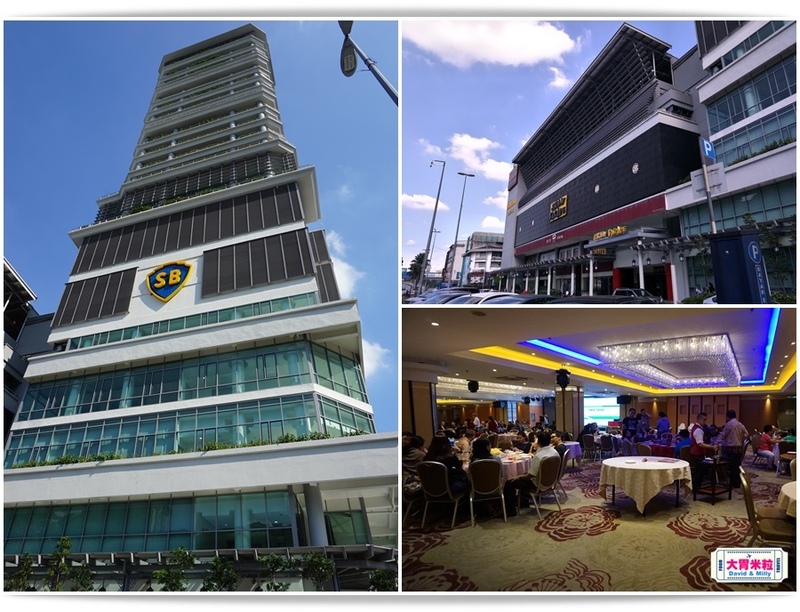 I am so happy that the organizer selects these six fabulous Malaysia restaurants. I am also very lucky to join the searching team and has the chance to taste excellent food. You may curious who is the chosen one to come to Taiwan. 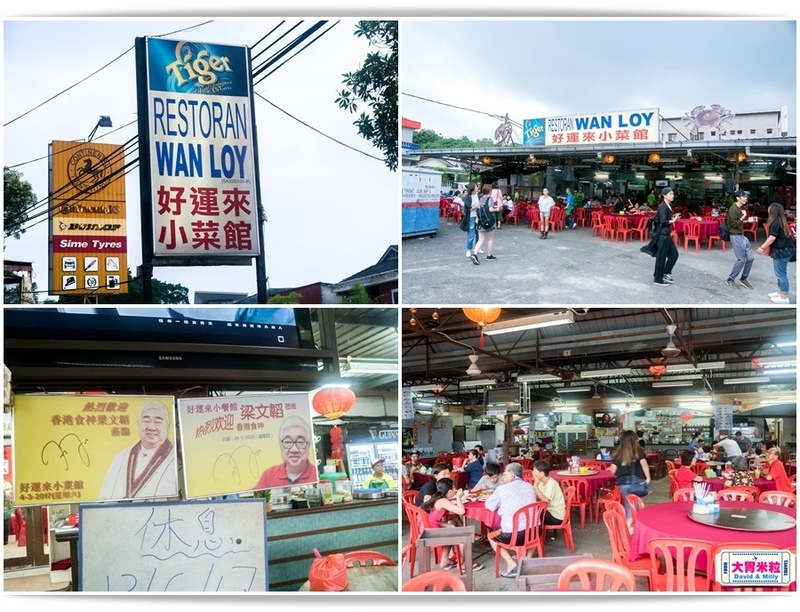 The winner is the “RESTORAN WAN LOY” who presents “Smiley Shrimp”. 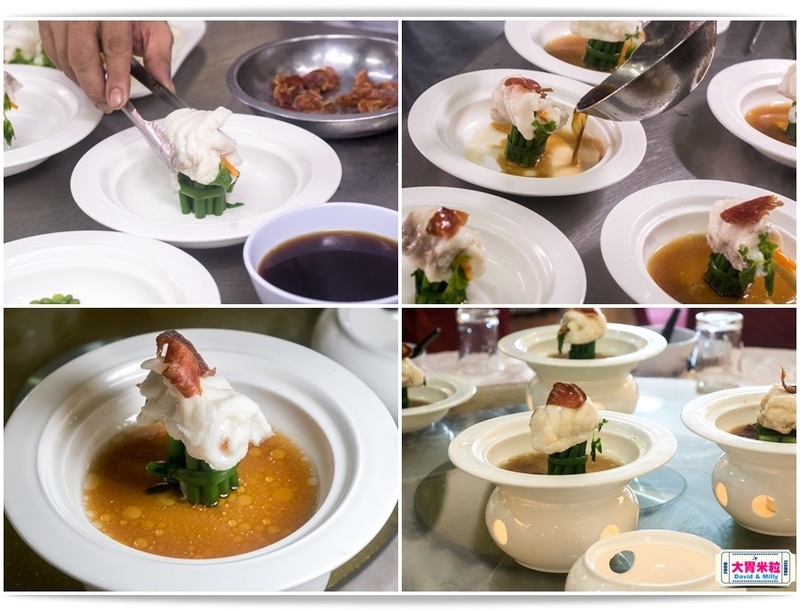 Everyone will be able to taste this wonderful cuisine in 2017 Kaohsiung Beer Paradise. 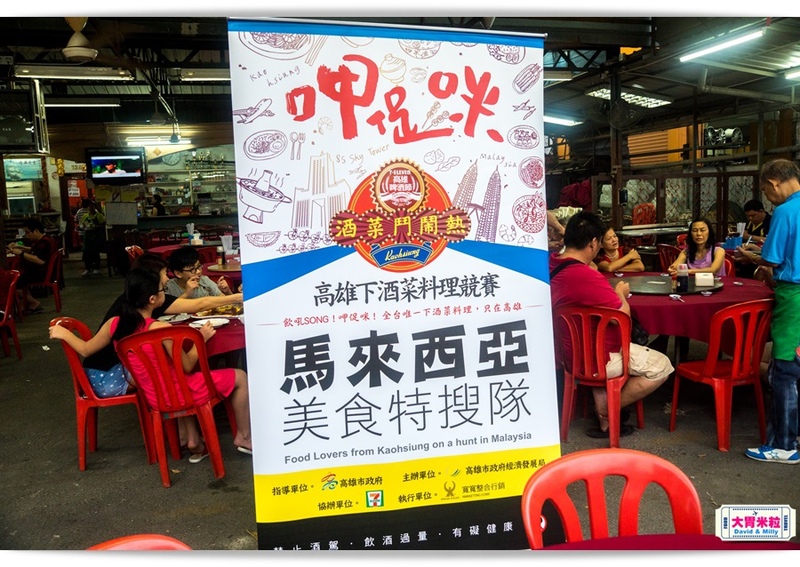 Let’s taste the delicious foods from Malaysia and two winning finger food restaurants! 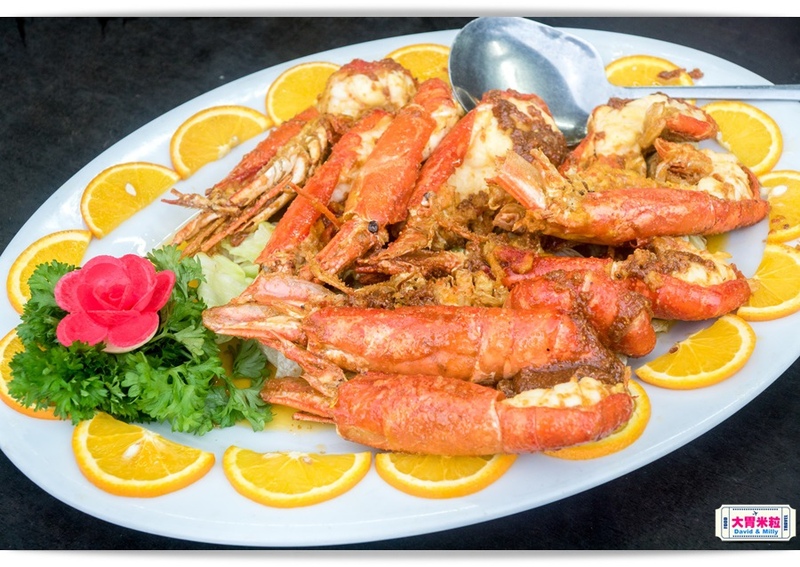 Come to try fantastic sweet-salty Thailand shrimp flavor with Angelica. 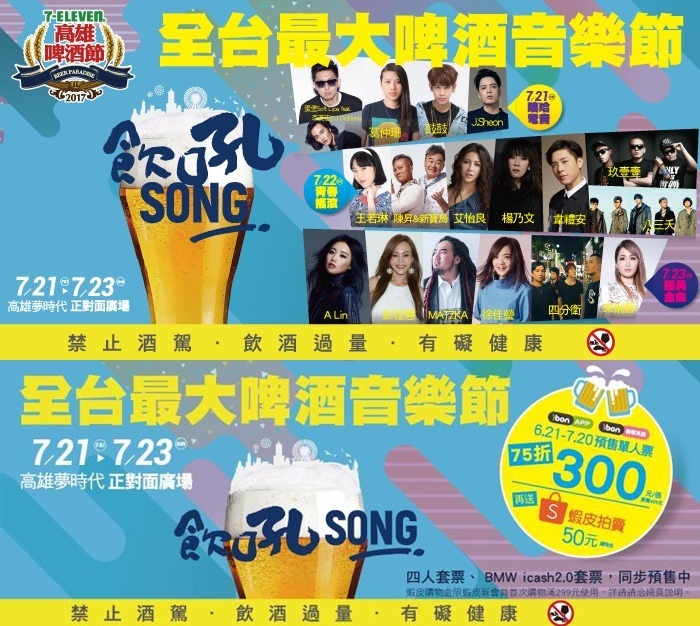 Of course the most important thing is to join our 2017 Kaohsiung Beer Paradise!! Following is the event information.